So I recently told you that I’d got engaged, and it turns out getting engaged comes with alot of presents! We’re very lucky to have such generous friends and family who have completely spoilt us. Not only did we get presents, but we had vouchers and cheques too. I wanted to use the money we were given on something special, rather than it being swallowed up on purchasing plaster boards and cement! Needless to say I didn’t have to ponder for too long about what I wanted to use the money for – I’m a shopaholic and always have my eye on something! So I bought a few things that I’ve been coveting for a while now. 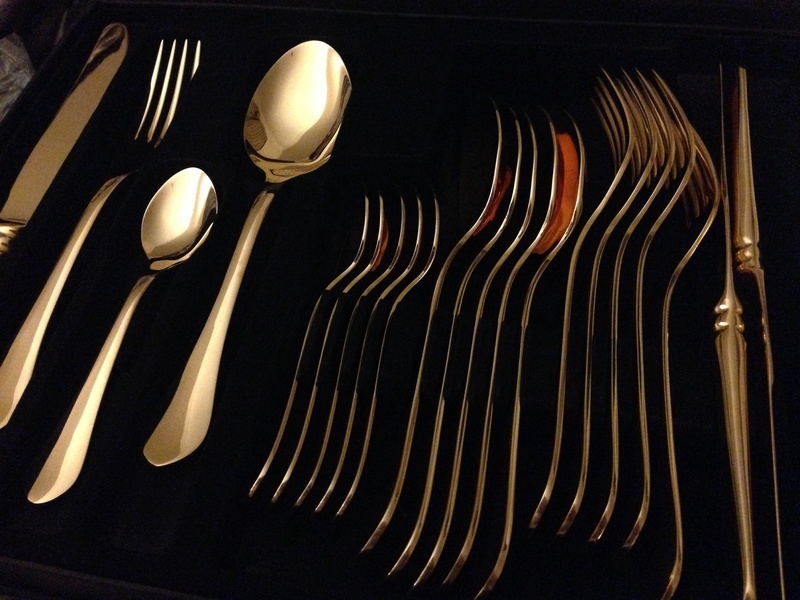 I also bought the matching set of serving spoons and a box of 6 cake forks. 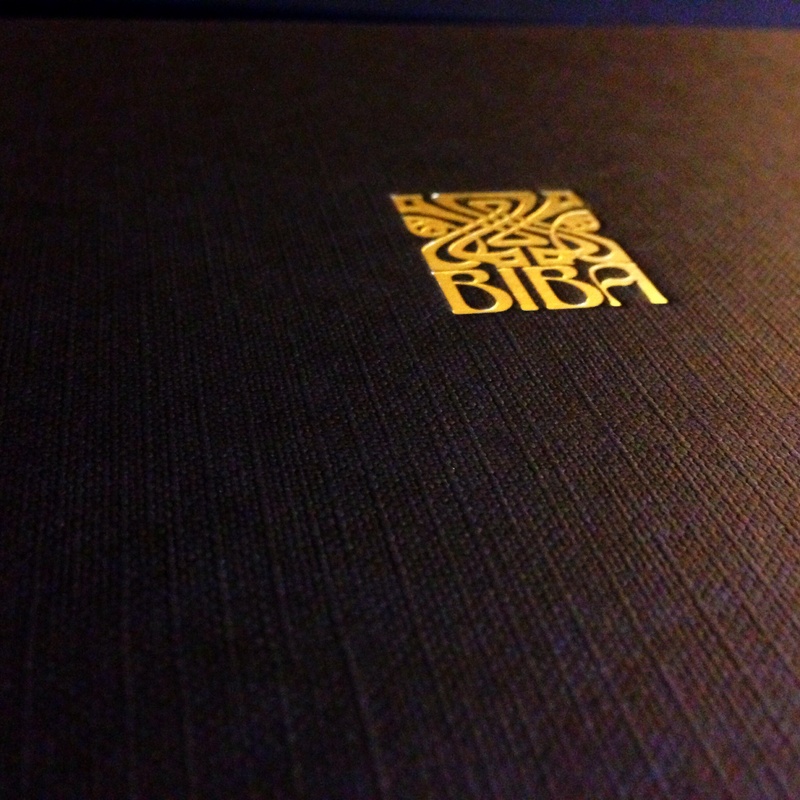 All items are from Biba’s Odette range. 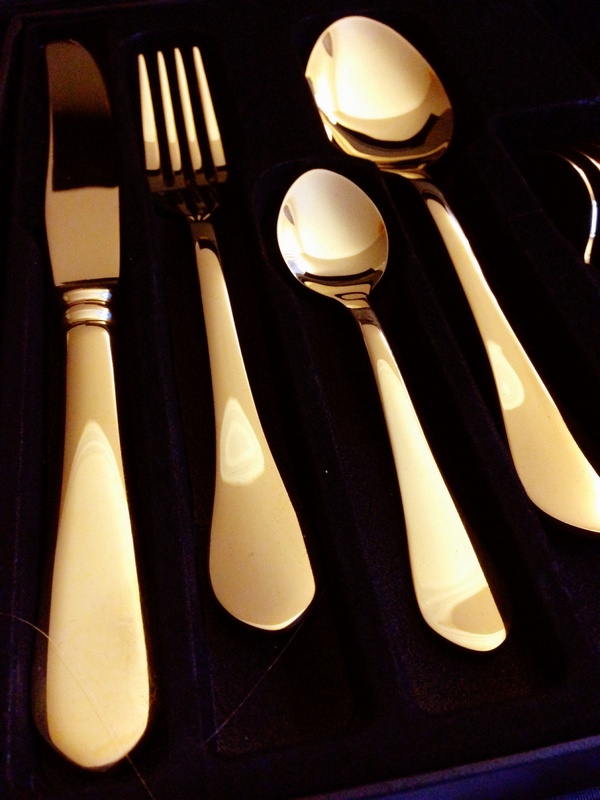 The cutlery consists of 24 pieces – 6 knives, 6 forks, 6 dessert spoons and 6 teaspoons. There is a cake slice in the range too, but I haven’t bothered with that. I am already thinking that may have been a mistake. I just can’t get enough of gold. I know, I know. I’m obsessed! So I’ve neglected my blog over the last two weeks whilst suffering with flu, that then turned into sinusitis! Yuck! Just before I started to feel under the weather, House of Fraser had a 30% off sale and I thought it was a good time to purchase the Biba cups I’d been lusting over! The day they arrived I was as excited as you can be with sinusitis I suppose, but the delivery certainly did cheer me, even if it was only slightly! My apologies go out to the delivery man who had the pleasure of me answering the door. I hesitated taking the box as I’d just been putting drops into my eyes and didn’t want to accidentally touch his hand. Yes, I had an eye infection too for good measure! Anyway, enough about my lurgy and back to the cups! 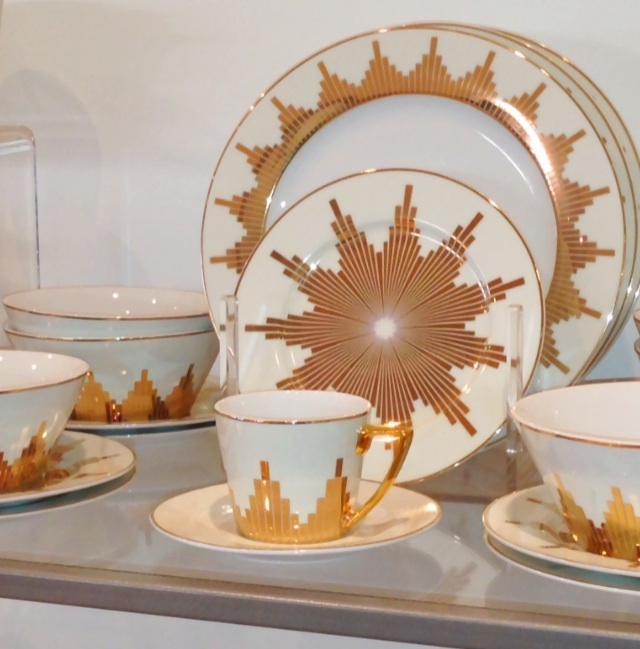 The white and gold is not dissimilar to a starburst pattern, and quite striking. 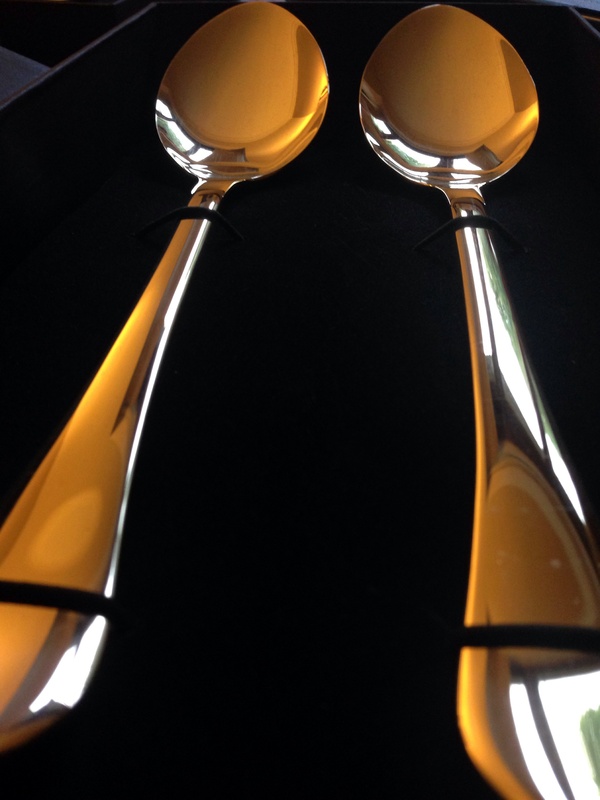 My other obsession besides gold is black, which meant I also ordered the black and gold cups which are in the style of Art Deco. I’m sure you’ll agree they are really beautiful. Not cheap, but definitely worth it! 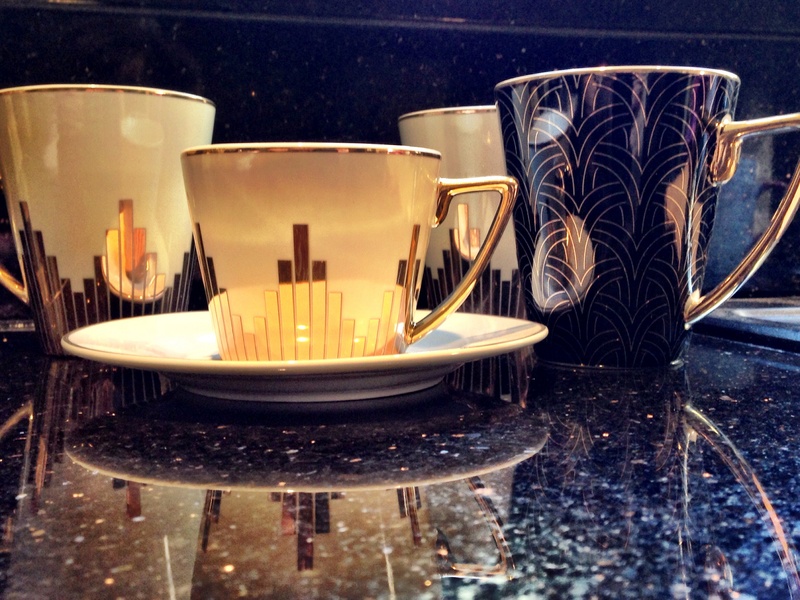 A trip to House of Fraser this weekend has left me lusting after these beautiful cups and saucers by Biba. 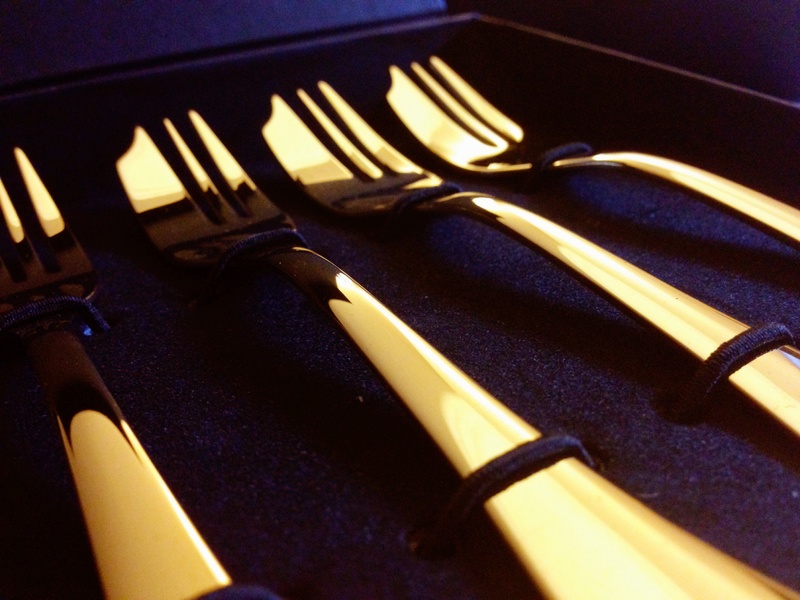 Having already purchased some black and gold coffee cups and mugs, these will definitely be adorning my coffee table!